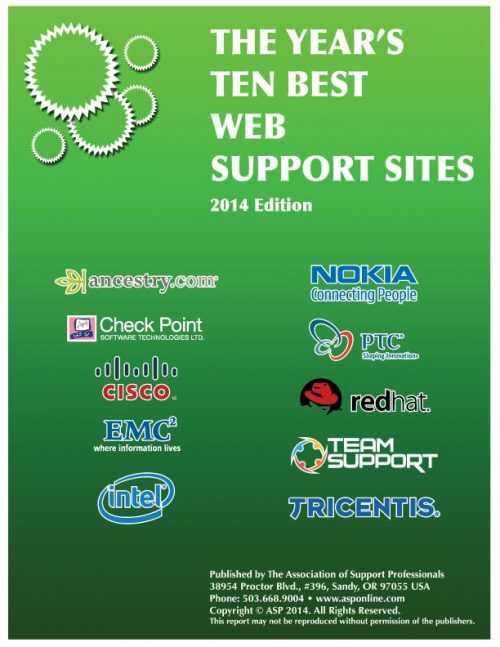 ASP has an annual competition for the Top Ten best Support Websites. This approximately 120-130 page report has essays from each of the Top Ten about their websites, average scores, a trends analysis, names of the many independent judges, explanation of the 25 different categories that are scored, and more. 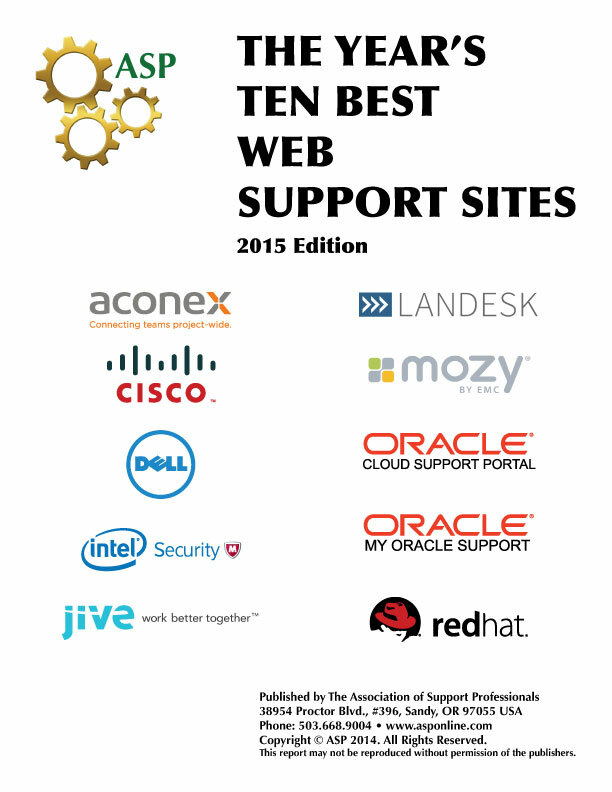 The report effectively defines the state-of-the-art in self-support websites each year. We receive many requests for back copies. 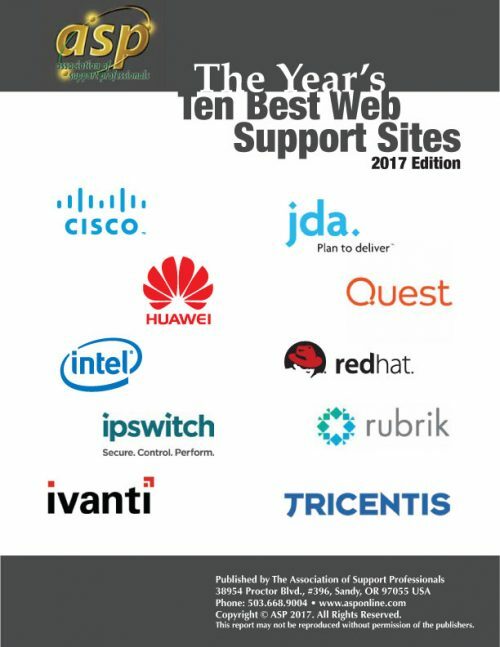 If you want to get some insight in to how to design an effective self-support website, this is the authoritative source.